On Saturday, the 18th of May communities all over the world came together to draw a line in the sand to say no to fossil fuels and yes to clean energy. 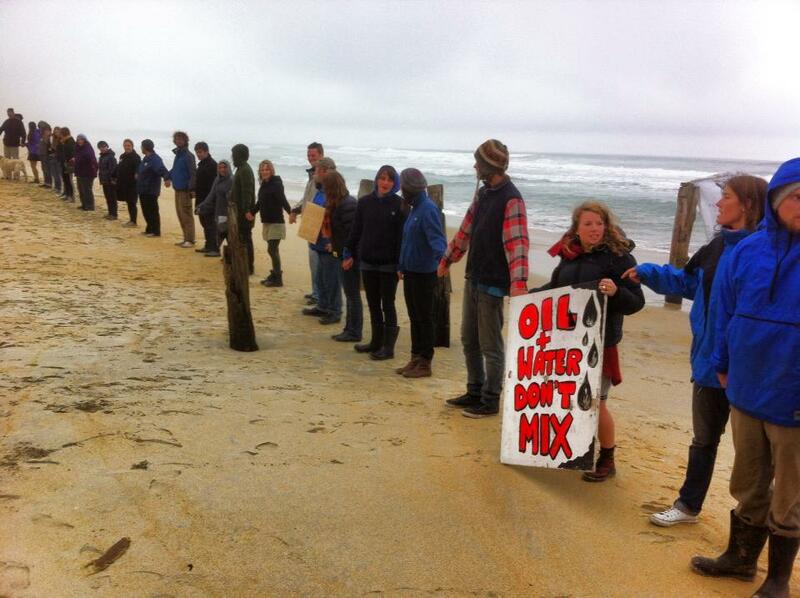 At 12noon people came together to hold hands for fifteen minutes and draw this symbolic line in the sand. In New Zealand alone, nine groups around the country, comprising over one thousand people, took to the beaches to say no to deep-sea oil drilling in Aotearoa. 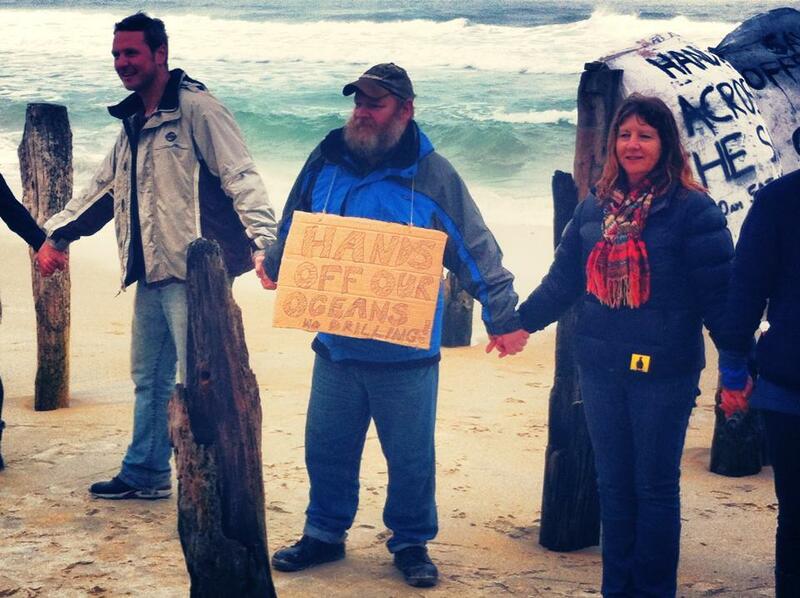 On this freezing cold, wet day about sixty people in Dunedin stood together at St Clair beach. These community members voiced their concerns about Anadarko Petroleum Corporation and Shell drilling in our coastal waters. Over five hundred people lined the beach in the small community of Kaikoura. Their community has clearly united over this issue after their recent dealings with the government and Anadarko. Oil Free Otago’s aim is to build a similar united front against drilling in Otago. The people on our beaches on the 18th were a diverse group from all walks of life. The movement against deep-sea oil drilling in New Zealand is growing.